In 2013, Square had a problem. The San Francisco–based digital payment company had grown from 300 people to 850 in less than two years. They’d outgrown their offices, and they needed a space that would let them work flexibly and collaboratively. They found four floors in a podium building on Market Street, a former back-office datacenter for Bank of America. The space featured enormous 100,000 sq. ft. floorplates—but also a number of limitations. For instance, the electrical and ventilation systems had been built for server stacks, not people. Also: there were no windows. Alongside local architects Bohlin Cywinski Jackson, CB Engineers signed on to reconfigure and recommission the space. 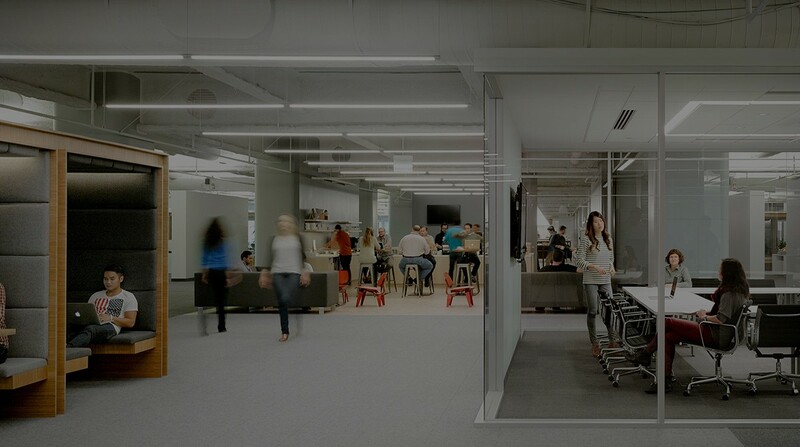 BCJ designed the office around a central “boulevard” with an assortment of standing desks, chairs, work tables, and semi-private “cabanas” for small meetings. 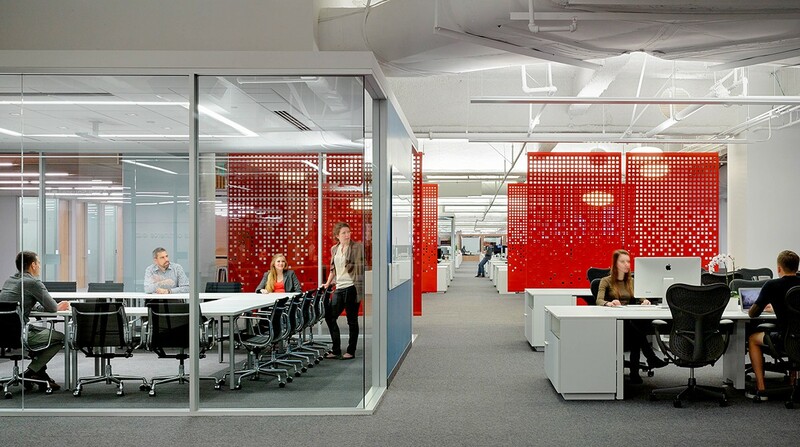 The open layout was intended to encourage employees to move freely and to work together, regardless of team. Square is known for its clean, minimalistic design. We held ourselves to the same standards for the headquarters’ MEP systems. To begin, we stripped the underfloor air circulation system. 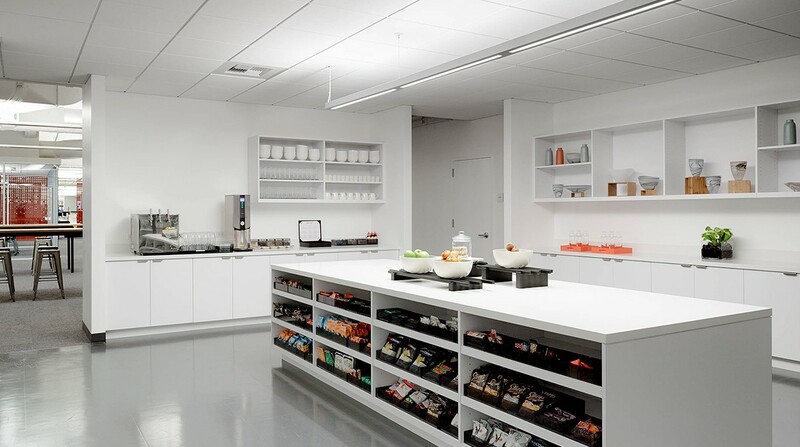 This facilitated a notable “hidden design” advancement: there are no exposed wires in the Square offices. All of the cabling and power cords are delivered to tables and workstations through floor outlets. Next, we repurposed the datacenter’s air conditioning system into a modern Variable Air Volume (VAV) reheat system with Direct Digital VAV terminal units and overhead distribution. We connected a high-efficiency heating system to the building’s steam plant and installed Direct Digital Controls across multiple zones. We then integrated an enhanced trending and troubleshooting system to improve temperature, comfort control, and energy efficiency. 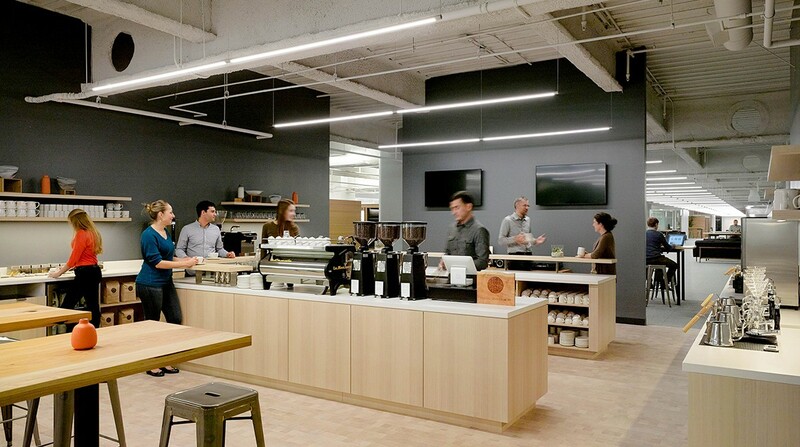 CB Engineers completed the project on an extremely short timeline: Square moved into the new space within a year. Since then, they have grown to more than 1000 employees. “Our new headquarters allows us to rapidly scale, while preserving our values of collaboration and transparency. 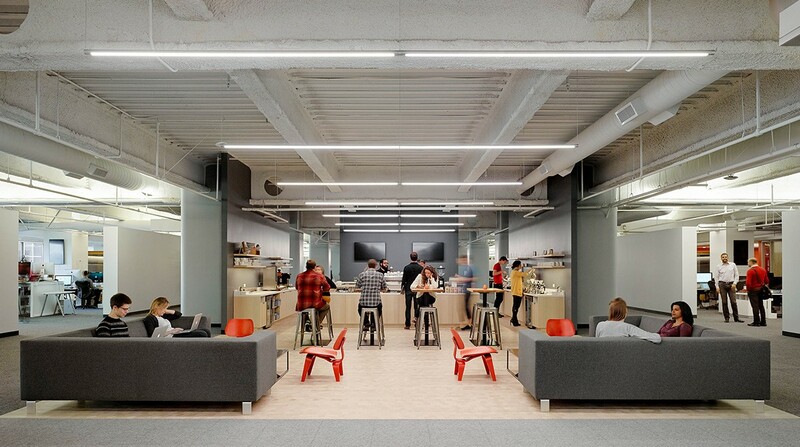 The design of the space reinforces our commitment to small teams. ” –Bryan Power, Director of Talent at Square. Completion Date: Phase I completed September 2013. Phase II under construction.